During the exploitation and dissemination Workshop at the training Campus Weeze from 16.-17. April 2018 LUAS presented the BCB to end-users. The program was distributed to the visitors on give-away memory sticks. The end-users simply moved the content of the memory stick to a folder on their laptops or Mac´s (The BCB works cross-platform) and started Blender (the Fracture Modifier including BCB) directly, because no installation is needed. First we presented the simulation process step-by-step on a simple structure. Then the end-users were invited to open and simulate a prepared model of the H-shaped rehearsal building at the Weeze site . It was nice to see an Inachus partner with Blender experience to be engaged in own simulations from scratch after our presentation. This video shows the simulation of the H-shaped rehearsal building at the Weeze site under an earthquake event. It is a processed simulation that includes the distribution of dummies. This feature is new in the BCB and was implemented after the pilot in Weeze. The distribution of large amount of human figures is made with the help of Blender´s particle system, a new preset group ‘Victims’ has been added in the BCB element groups for this purpose. Note, that the simulation of masonry structures is not yet sufficiently studied and the simulation results still may lack plausibility. This entry was posted in blender, conferences, videos, WP 3 on July 13, 2018 by laureainachus. 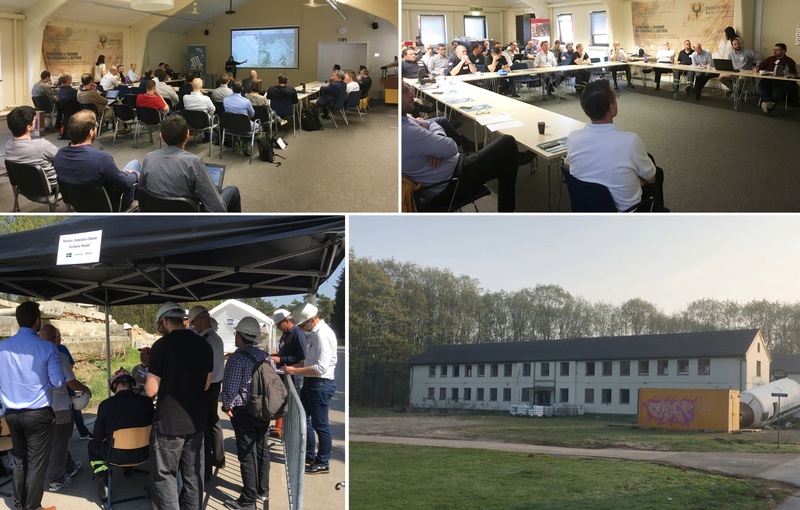 The 9th plenary meeting was successfully held in the Weeze training base at the German-Dutch border on April 16-17, 2018. The plenary meeting was followed by the exploitation and dissemination Workshop on Wednesday 18th and Thursday 19th. The partners had a chance to present their work to end users. Fifteen urban search and rescue (USaR) professionals from Sweden, the Netherlands, United Kingdom and UN-OCHA attended. This entry was posted in blender, conferences, WP 3 on April 28, 2018 by laureainachus.